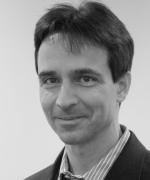 Thomas Fent is a population economist at the Wittgenstein Centre for Demography and Global Human Capital. He conducts research in various fields of demography with a focus on the impact of social effects on demographic behaviour. He published articles in professional journals and edited volumes on union formation, fertility, family dynamics, and family policies but also on the economics of ageing, investment in human capital, and economic growth. He applies agent-based models, formal mathematical methods, computer simulations, and empirical methods. Thomas Fent studied applied mathematics/mathematical methods in economics at the Vienna University of Technology and at the Noordelijke Hogeschool Leeuwarden. He held affiliations with the Institute of Business Management of the University of Vienna and with the Department Management, Technology, and Economics of the Swiss Federal Institute of Technology (ETH Zurich). He gained teaching experience at ETH Zurich, University of Vienna, Vienna University of Technology, Medical University of Vienna, La Sapienza University Rome, University of Padua, University of Bamberg, Danube University Krems, and IMC University of Applied Sciences Krems.